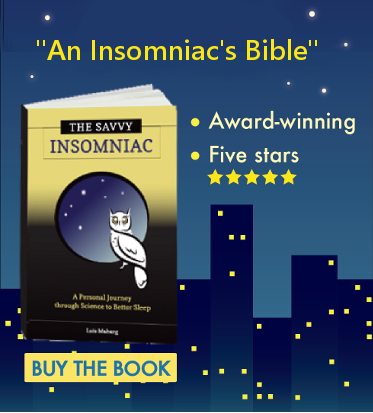 NextQ & A: A Nightcap to Woo Sleep? For me sleep is fairly dependable almost anywhere after a marathon hike or bike ride, when it’s hard to do anything except pass out. But some of the most miserable nights of my life have been spent inside a tent. Camping is where my two biggest nemeses—insomnia and a bad back—conspire to make the night a trial. Huh? The idea of spending the night outdoors does have a certain earthy appeal, and for me sleep is fairly dependable almost anywhere after a marathon hike or bike ride, when it’s hard to do anything except pass out. But some of the most miserable nights of my life have been spent inside a tent. Camping is where my two biggest nemeses—insomnia and a bad back—conspire to make the night a trial. I’m very temperature sensitive at night, and this can be a problem outdoors. In mid-range temperatures, I’m either roasting inside my sleeping bag or freezing under a sheet. Quietness can also be hard to come by. Nighttime is dinnertime for many creatures, starting with mosquitoes. The nasty things are always buzzing a hair’s width away from my ear, and burying my head under a sheet to escape them creates that temperature problem, not to mention near suffocation. And how about the bigger scroungers of the night, the raccoons and the bears? Can anyone sleep with these creatures snorting and slavering around the campsite? I can’t. The noise factor can be even worse in campgrounds. It may be easy enough to persuade the kids with the radio to turn the volume down. But what about the knife-toting bruisers across the way, who with keg and girlfriends get down to seriously noisy partying till 3 a.m.? Then there’s the other question of what to DO when it’s dark and everyone else is sleeping. Reading is now easier with my Kindle and headlamp, but this is when my back problem comes into play. No matter how thick, those camping mattresses are a pain, literally. Finding a comfortable position for reading is a real challenge. Then comes the moment when I’ve had enough of reading and fussing with positions and decide, finally, to turn off my headlamp and hang it up. Now the quest for comfort becomes a search for the Holy Grail. Trying to find a pain-free option, I flap from side to side like a tuna in a trawler struggling mightily for life: thwap, thwap, thwap. And I almost always wake up in the morning to a backache. I like the idea of camping, and when I hear people like Dr. Dement rhapsodize about the stars and Mother Nature I feel envy that a night outside could inspire such appreciation for the wonders of the great outdoors. Me, I get stuck on the pedestrian discomforts of my body. I’ll pass on nights in the open and leave the camping to loftier, hardier folk. How does camping affect your sleep? The newer easily-inflated airbeds (some come w/ the pump self-contained) do make for a softer sleep. Ear plugs? Larger, more rustic sites (less noisy folks) ? And well, a rented or borrowed pop-up trailer could be a 1/2-way point between tents and cabins or trailers. Good suggestions, all. I would have rejected the idea of a pop-up trailer once upon a time, but now that I’ve seen my brother-in-law’s nifty teardrop camper, I might consider one after all. 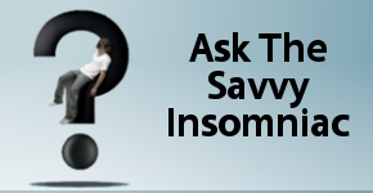 Q & A: A Nightcap to Woo Sleep?